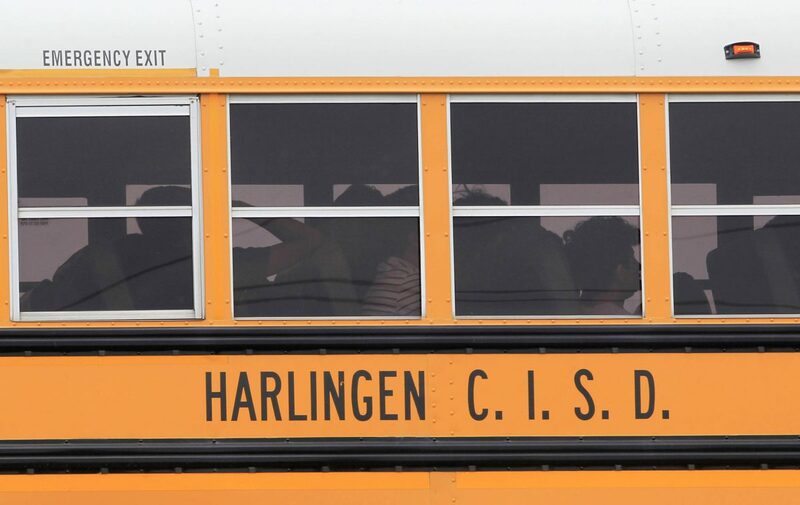 HARLINGEN — The family of a Harlingen middle school student killed one year ago after falling from a bus emergency door on a school trip in Hidalgo County has filed a $100 million wrongful-death lawsuit. The suit alleges the death of 13-year-old Gabriel Miranda along I-69/U.S. 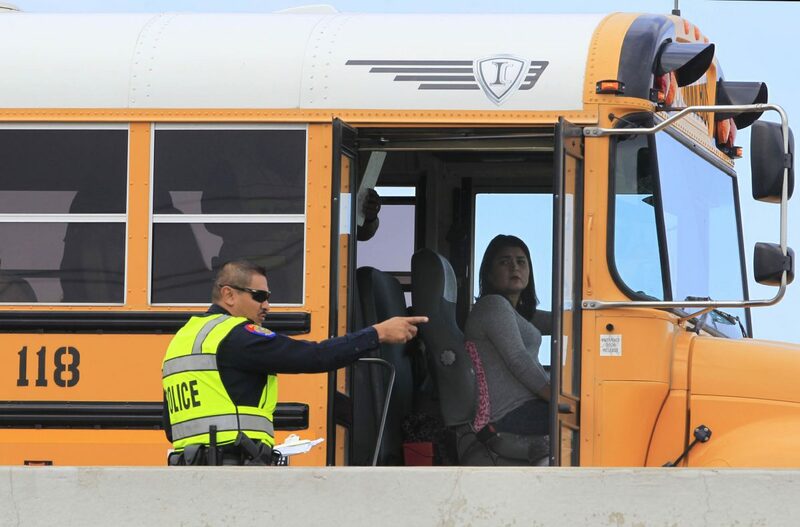 Expressway 281 in Edinburg resulted from negligence on the part of the Harlingen Consolidated Independent School District, its superintendent, Arturo Cavazos, teachers A.J. Ayala and Michael J. Carlsted and bus driver Laura Castro Ruiz. Also named as defendants in the lawsuit are the City of Edinburg and the Edinburg Police Department and its police chief, David Edward White, Edinburg Mayor Richard H. Garcia, Edinburg City Manager Richard M. Hinojosa, Hidalgo County Judge Ramon Garcia and Hidalgo County Coroner Norma Jean Farley. The lawyers for the Miranda family say the teen was severely injured since the bus was traveling at 65 miles per hour down the interstate highway. They say the bus traveled several miles before pulling over to the side of the road after the boy had fallen to the roadway. When police officers arrived, they found a Good Samaritan had pulled off the road, and he was cradling Gabriel Miranda’s body, which showed no vital signs, the suit says. One of the key parts of the lawsuit appears to be the malfunction of a newly installed video camera on bus No. 118. The plaintiff attorneys said a “gap” in the recording shows a blank screen until after the time Gabriel Miranda fell. Audio of the recording was available. The lawyers also questioned the position of the two Vernon Middle School teachers on the bus, A.J. Ayala and Michael J. Carlsted. The family’s attorneys said HCISD rules on field trips via buses dictate that when two teachers are aboard, one sits up front and the other in the rear of the bus. Both teachers, the suit says, were sitting together in the front of the bus in violation of district travel policy. 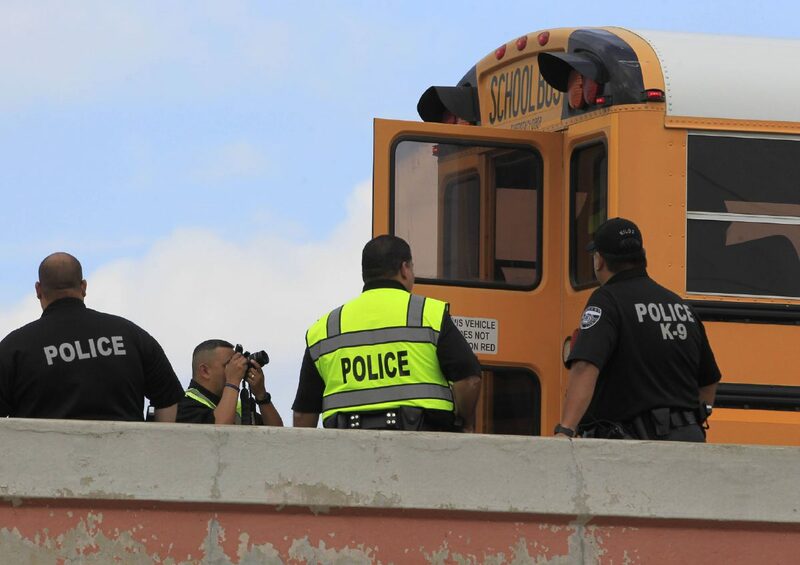 The lawsuit claims the family’s investigators have found witnesses among the riders on the bus who say Gabriel Miranda fell, and did not commit suicide by jumping to his death, as Hidalgo County officials eventually ruled. Another key segment of the suit is the audio from the malfunctioning video, the attorneys claim. On it, they say a buzzing indicates the sounding of an alert that someone was attempting to open the emergency exit at the back of the bus and that the bus driver did not respond. The lawsuit claims Edinburg police officials ruled Gabriel Miranda committed suicide even before Hidalgo County Coroner Norma Jean Farley reached her autopsy conclusion. In it, the lawyers say, Farley ruled in effect that it was common for young men from the Valley to commit suicide, even without ever showing symptoms of depression. Investigating authorities said witnesses told them Gabriel Miranda was distraught over a break-up with a girlfriend. The parents dispute their son committed suicide, saying he showed no signs of depression and was excelling in school. Also listed as a defendant in the case is the Texas Education Agency, a branch of the state government responsible for public education, and its director, Michael Morath.